We had a great response to our posts about treasure baskets for babies and shoebox play, so I thought I’d look at another everyday item that makes a great un-toy: clothes pegs. Here’s how my children love to play with clothes pegs – and we’d love the hear some more ideas from you. Take a clothes peg and the contents of your making box, add some imagination and what can you make? 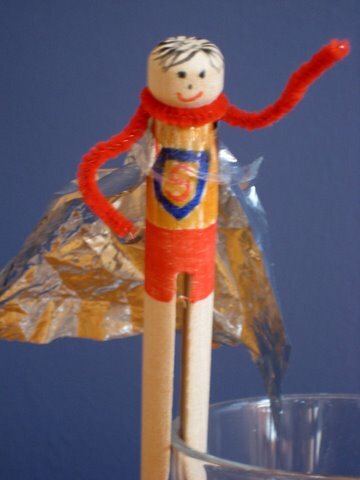 Superheros, pirates, mermaids – have a look at our ‘how to make a peg doll‘ slide show for some more ideas. Clothes pegs make wonderful butterflies too. Here’s how we make our clothespeg butterfly and here’s another beautiful version that My Kids Make shared with our Play Academy idea swap. How do your children play with clothes pegs? Please share an idea (or a link) in the comments – we’d love some new ideas! One of my teacher once emptied a local shop of their dolly pegs for an activity! Another great link! Thank you so much! Love your cute little clothespin guy! My daughter Loves hanging clothes–fun when I was little too! We need to make some to play with too! Thanks Melissa – he’s fun, isn’t he? It’s definitely time to bring out the clothes pegs here, and thank you so much for reminding me of the all-wood ones – so much potential for fun and creative crafting! Thank you for linking up with Learning Laboratory! maryanne – It’s very retro to have all wooden ones isn’t it? But great a play and crafting potential! How fun. I know my kids would have so much fun with clothes pegs. Thanks for the great idea. Thanks for stopping by Amy. Great ideas! All my kids have loved helping to hang the washing with pegs. 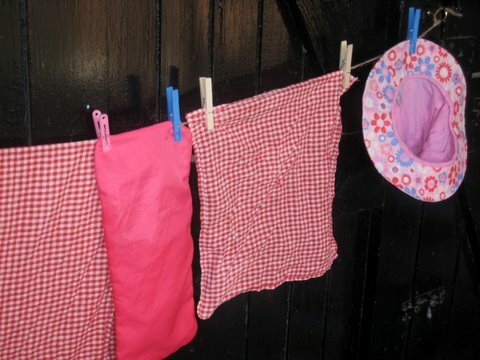 My three year old is almost always given all the wet socks and hankies to hang on the clothes horse while I hang the rest of the washing. 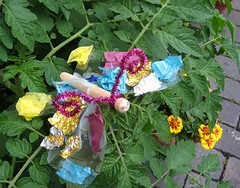 I just love the peg butterfly – so clever! Pegs are popular at our place at the moment. My 10 month old spends a lot of time chewing on them – they make a great teething toy! Oh yes, of course Melissa – I’d forgotten about the ‘toothy peg’ possibility! We clothes don’t have a washing line so don’t have clothes pegs. We recently visited friends and my daughter built amazing construction models using coloured clothes pegs joined together in different arrangements. I remember thinking at the time that I ought to get some for her to play with. My 2 year old enjoys finding the correct colour and number of pegs to hang clothes out at a friend house. Thanks for reminding me . Hi rachel – glad the post was useful for you. Thanks for stopping by. Love the Super-Peg. Very creative! Thanks Busy Brissy Mum – love the name Super-Peg!